The hot trending news which was in the air has finally came down to the earth, this news is none other than Microsoft’s lately held media event in which Microsoft gave another new competition to it’s old competitor Apple. As Apple is already holding a major part of the tablet market but despite of the fact that Microsoft is aware of it, they dared to give the tablet market another tough competition and it might also affect the business of the android tablets and manufacturers in the market and no we can expect the decrease in the number of users of Android tablets and iPad. It is rumored that this new tablet will be coming up with Redmond’s latest operating system known as Windows 8. Today at this attention grabbing event Microsoft introduced it’s very new tablet called “Microsoft Surface”. If we talk about it’s portability and size then it consists of a 10.6-inch sleek design. They just didn’t announce this forthcoming tablet but also previewed Windows in front of the press at Milk Studios Hollywood. The event took a start by Microsoft’s CEO Steve Ballmer taking place on the stage and by acquiring public attention for showing some videos which shortly demonstrated the success journey of Microsoft. He also highlighted some of it’s successful products since the Microsoft took birth in this world and undoubtedly innovated it with it’s technology and passion for making everything easy. After having a brief look over Microsoft’s past Steve Ballmer diverted towards the new gadget to be launched in the market, yes right that is Microsoft Surface. It’s very attractive in looks and is also very handy. Microsoft further mentioned that it will be available in two flavors and it will available in the market in October this year(2012). They said it will be released in both x86 and ARM flavor. Both of them will discriminate on the basis of it’s features. 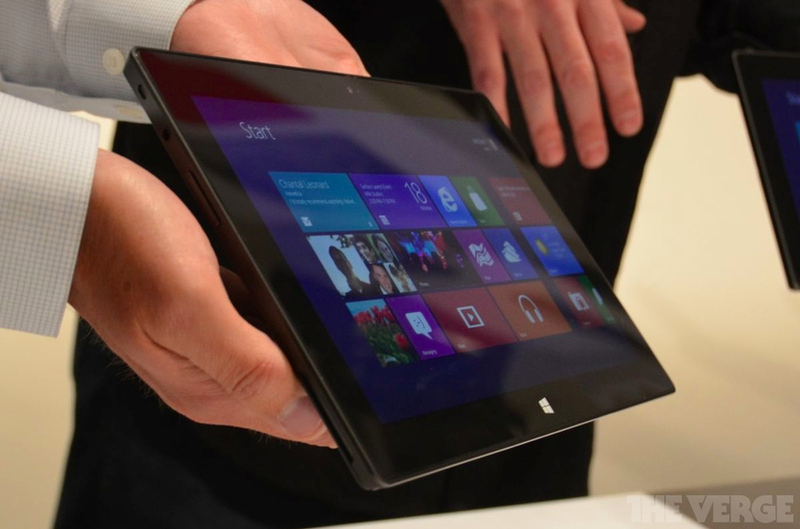 The x86 version of the Microsoft Surface tablet will have the complete features as any other desktop running Windows 8. The x86 Microsoft Surface will be powered by the “Windows 8 Pro” in order to avail the full desktop features and will also support USB 3.0 with storage capacity of 32 GB and 64 GB space. The other type which is ARM based Microsoft Surface tablet will carry somehow less features than the x86 version. It will run the special version of Windows 8RT and will not able to provide the desktop-like feature as they’re supported on the x86 version. ARM based Microsoft Surface will be more sleek and thinner than the Intel based Microsoft Surface tablet and will be available with in a specific range of 32GB and 64GB space. Now the next time you will be writing on your new Microsoft surface tablet then you don’t have o be worried about running out of your pen’s ink because it enables the very new technology of Digital INK with a pen that allows users to write anything with availability of unlimited link.